Kitchens and baths are the only two rooms requiring task lighting. Think about it. You turn the lights down to watch TV. You probably have an iPad or Kindle, so you do not even need lamps or bedroom lights for reading. Baths are an exception, because you need very specific lighting to apply makeup or to shave. Unlike other rooms, you cannot augment light with portables. You have to plan correctly. I focused on the mirror, because you do not have to be so rigid in other parts of the bathroom. You will probably still find the soap in a dimly shower or bath. Applying cosmetics or getting that last whisker is another story. The concept of cross illumination or fully lighting both sides of you face is critically important in bath lighting. 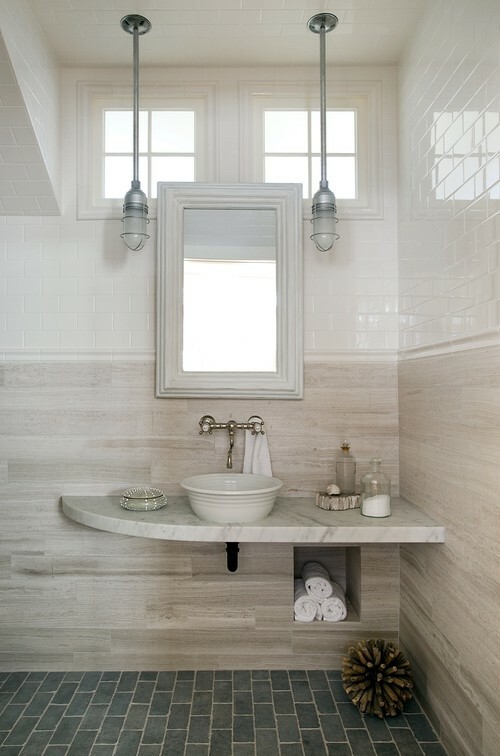 We already wrote about how to light a bath mirror with sconces. I like this method. As a review you place sconces on both sides of the mirror at roughly 66 inches high depending on your height (you do not want to look at the bulb). I wrote this article because people advise against recessed as the main light source in a bathroom. It does work well if you cross illuminate however. Place recessed on either side of the sink. I like a regressed eyeball trim to focus the light to the sink itself. It's pretty basic, but works very well. Usually 30 inches apart will suffice, depending on the height of the ceilings. Recessed is also inexpensive, because it is a true commodity. A good recessed can (the electric part in the ceiling) and trim (decorative piece) should cost less than $30. First, smaller looks better. Many electricians still use larger 6 inch diameter recessed cans. Unless you have a tall ceiling 4 or 5 inch will more than suffice. Second, do not place the main task lighting behind you. It will create shadowing and shaving will be impossible. Third, if you buy LED (and you should) for energy efficiency, buy a LED compatible dimmer. Most dimmers will not work with LED. Legrand dimmers work with every type of light. 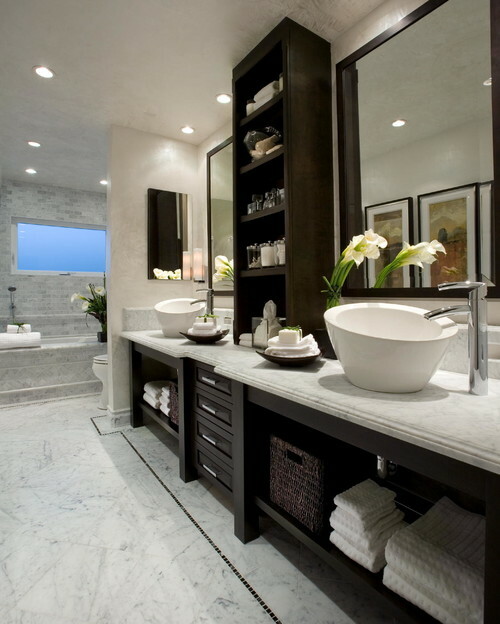 Contemporary Bathroom by Fort Lauderdale Interior Designers & Decorators b+g design inc. I love this bathroom. It has recessed and decorative lights throughout. 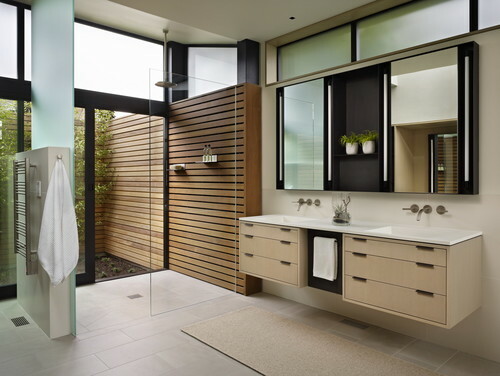 However, recessed can be an inexpensive and effective way to light a bath by itself. Get our free Recessed Lighting Buying Guide with tips, trends and design suggestions for using recessed. Over 70,000 people have already found answers in a Yale guide.